Freshman Juliette Mohr thought she was in for a typical anti-drug presentation when Alex Matthews from Narconon Redwood Cliffs visited her health class. Matthews started his April presentation with an anecdote of how his chances of playing for the NFL were ruined by his marijuana use. It turns out this anecdote and a lot of the anti-drug information provided were quite misleading. Taking to the Internet, Mohr researched facts and the credibility of Narconon. Using the information she found, Mohr emailed a letter with her findings to health teacher Barbara Carpenter and Principal Sarah Wondolowski. Mohr’s email addressed the inaccurate information given by Matthews and her concerns about drug education coming from a questionable source. “I am sure that there are many other organizations that could have spoken to my class, and gotten that point across without presenting invalid and misleading information,” Mohr wrote in her letter. Carpenter commended Mohr for questioning facts she had been given and offered her extra credit to do more research on it. Mohr said Wondolowski never replied to her email. It turns out Mohr isn’t the only one who has questioned information provided by Narconon’s speakers. Narconon is a non-profit anti-drug organization based off the teachings of L. Ron Hubbard, founder of the Church of Scientology. Narconon is notorious for teaching students false and misleading information, according to a 2014 article in the San Francisco Chronicle. Students in teachers Carpenter and Randy Cahn’s health classes are among the tens of thousands visited annually by Narconon and its affiliates, according to the Chronicle. After hearing about Narconon’s questionable credibility from Mohr, freshman Mitchell Bias also did some research. Matthews did not respond to an interview request. Although Narconon did not directly visit campus as it has in the past, Redwood Cliffs is one of Narconon’s rehab centers and is referred to as Narconon Redwood Cliffs or Narconon Northern California. Cahn declined an interview for this story. Before guest speakers can visit any school in the district, both guest speakers and teachers must fill out a form, said Scott Gerbert, the district’s former head of the Safe and Drug-Free Schools and Communities Program. 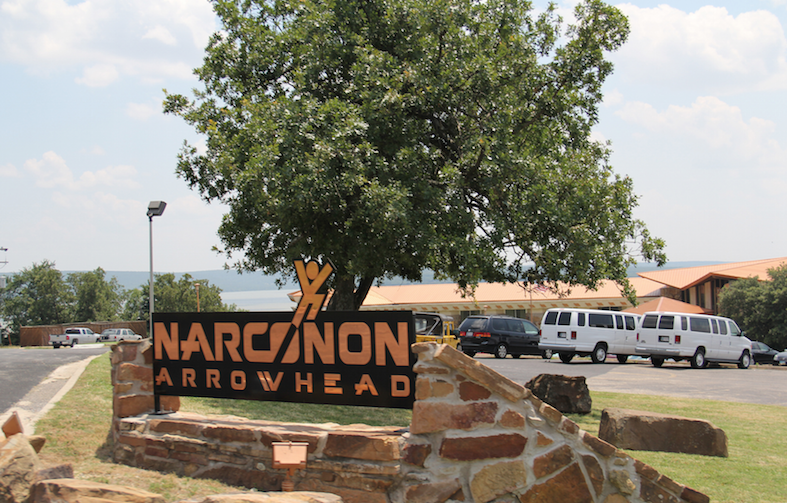 “As far as Narconon, or any other guest speaker, they must comply with education code and be aligned with the standards and curriculum being taught in the class,” said Gerbert. Regarding Narconon’s association with the Church of Scientology, Gerbert said speakers may have a personal belief that does not comply with education code, but cannot allow their bias be part of their presentation. “Bottom line, a guest speaker should present something that is aligned and in compliance with education code and relevant to the health topic being discussed in class,” he said. Students didn’t seem to mind Narconon Redwood Cliff’s association with the Church of Scientology. “The general message still says the same, ‘Don’t do drugs and stuff like that’,” said freshman Adam Poklemba. But some students were still a bit skeptical. “The incorporation of false facts and stuff like that, we still shouldn’t have them back,” added Poklemba. According to the Chronicle article and students present for Matthew’s lecture, Narconon provides many inaccurate facts about the effects of drugs on the body. For example, students said Matthews told the class that THC from marijuana gets stored in body fat, causing a release and craving during exercise or any remotely fat burning activities. But in a 2006 study by the University of Sydney, exercise was found to release THC stored in fat, according to the National Center for Biotechnology Information. While levels of THC were high enough to be detected in a drug test, they were not significant enough to cause any kind of high or craving. Students said Matthews also told them that marijuana depletes vitamins and minerals, such as magnesium, which causes pain and relapse. Narconon is the only source found saying that marijuana depletes magnesium. Although Narconon inspires many students through stories of struggles, speakers often make blanket statements, such as everyone who takes drugs takes them to avoid certain problems at the time. The Chronicle article stated that Narconon has visited at least 28 public schools in California. Cal was the only school visited in Contra Costa County.